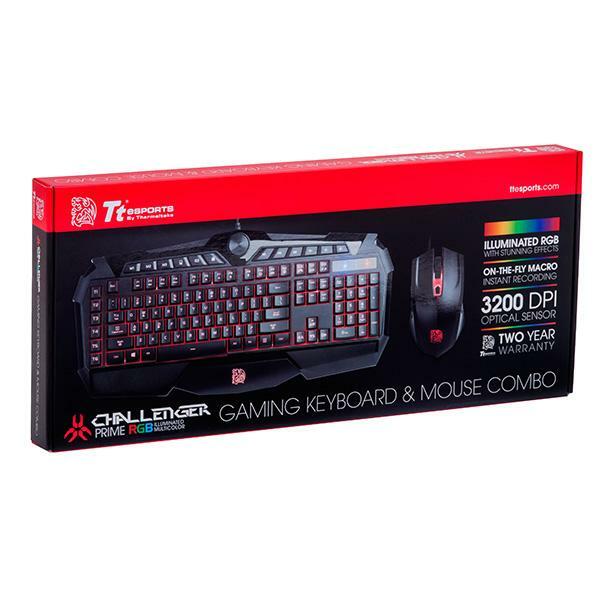 The CHALLENGER PRIME RGB keyboard uses multi colors that lightens up the gorgeous colors, differentiate it from others as it brings the amazing colors for astounding appearance! You can customize the lighting colors to any colors you like with the software! 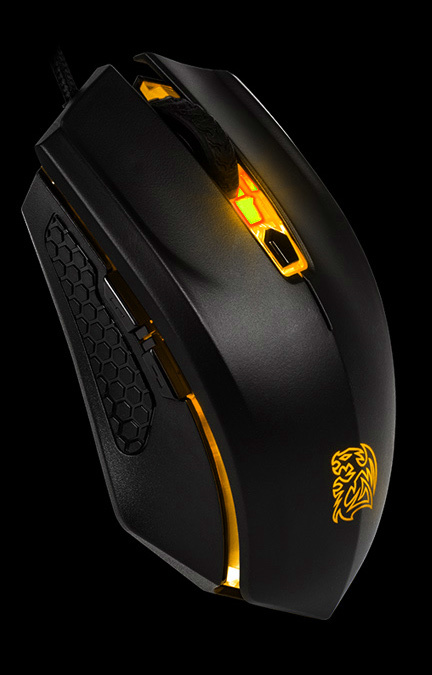 It also comes with 4 lighting effects include pulse, pulse jumping, spectrum running and static lighting. Plus, CHALLENGER PRIME RGB also built with an astonishing 6 levels of brightness (included OFF) and 3 lighting effects speed. Tt eSPORTS engineered a real RGB keyboard which offers better and stronger colors and features that fit all needs! 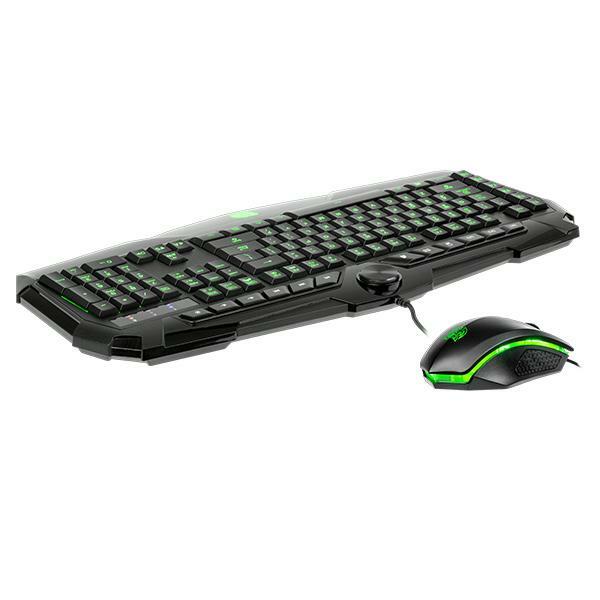 With all these beautiful colors on this membrane keyboard, you can color up your keyboard and power up in your battle! 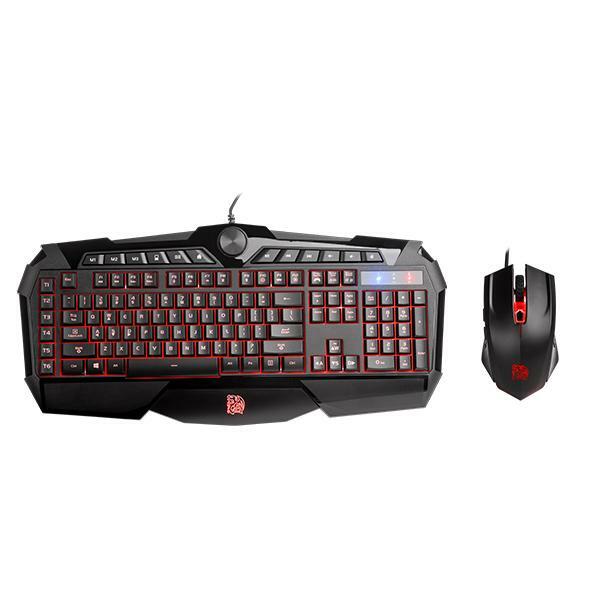 We’re keeping the design from the previous CHALLENGER Prime as it features an aggressive styling in the keyboard frame to add to your gaming atmosphere. 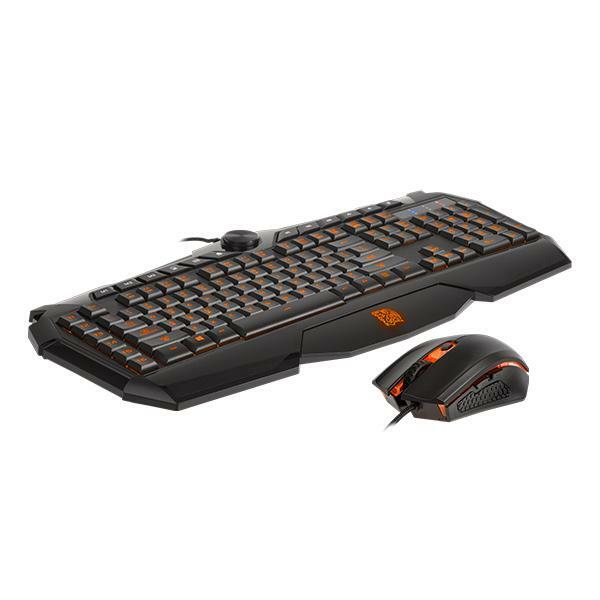 The keyboard is an essential weapon when you game, so it should look like one too! With the N-key rollover, the CHALLENGER PRIME RGB KEYBOARD will allow you to hit combinations of keys (TAB,Q,W,E,A,S,D,Z,X,C,V,B,F,T and 4 directional keys) at once to make sure your gaming session is as fluid as it can be. The CHALLENGER Prime RGB has an addition feature as games can now record macros on-the-fly without using the software! We’ve implemented a dedicated switch on the keyboard (Fn-Insert) that allows you to record and assign quick macro functions on-the-fly to the board, even without using software. 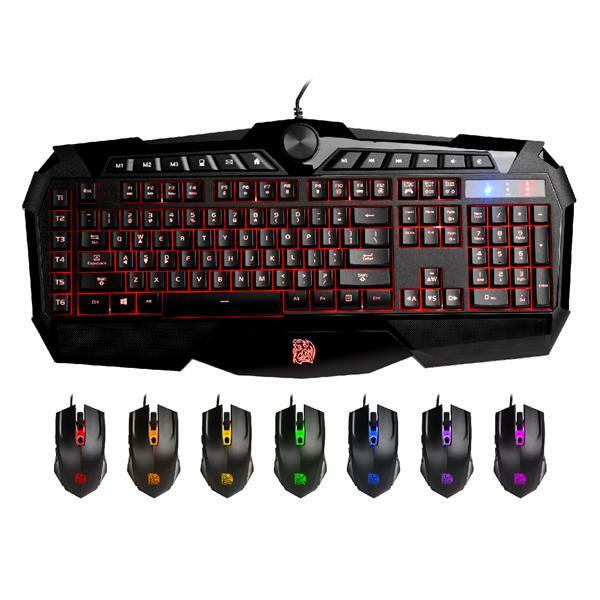 The CHALLENGER Prime RGB also comes with 6 dedicated macro keys, which amounts to 18 programmable macros when paired up with the 3 storable profiles. Switch between profiles with the dedicated M1, M2, and M3 keys. In addition to macro functions, the WASD and arrow keys may be toggled to have their functions switched interchangeably (Fn+↑). Via software, users can map keys to another one to switch their function (re-mapped keys only show up in Game Mode, in Normal mode all keys return to their regular functions)! With the classic shape and its ergonomically design ensures a top fit for any hand size, letting you play comfortably during extended sessions without any frustration. In addition, it features an on-the-fly DPI adjustment (400, 800, 1600, and 3200 DPI). Dedicated on-the-fly DPI adjustment buttons are positioned perfectly bellow the scroll-wheel for unbeatable access when in-game - allowing you to change your sensitivity without compromising your aim. 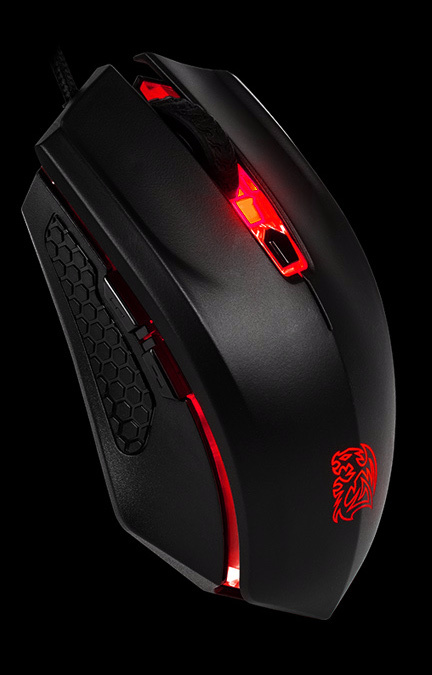 The PIXART Optical sensor on this CHALLENGER Prime RGB gaming mouse offers up to sensitivity up to 3200 DPI. The sensor is very accurate in precision, has no prediction, and has a high perfect control speed. Furthermore, OMRON switches provide a crisp clean click with OMRON switches provide a crisp clean click with a life cycle of 10 million clicks. The CHALLENGER Prime RGB gaming mouse plans to compete as long as you do! Add mood to every gaming session by adding the Spectrum Running effect where the battle dragon logo and side panels change colors from one to another by color fading or you can choose one color from the spectrum running to be static!